Back left to right: Giovan Soares, Emmy Kelley, Annie Kelley, Callie Gillan, Jasmin Morse, and Caitlin Cameron. Font left to right: Maria Pala, Ngan Nguyen, Ashley Galliger, and Brynn Dempsey. After months of preparation and hard work, RHS’s Mock Trial team finished off the season on Mon. Jan. 28 after winning the trial’s verdict against Norwell. 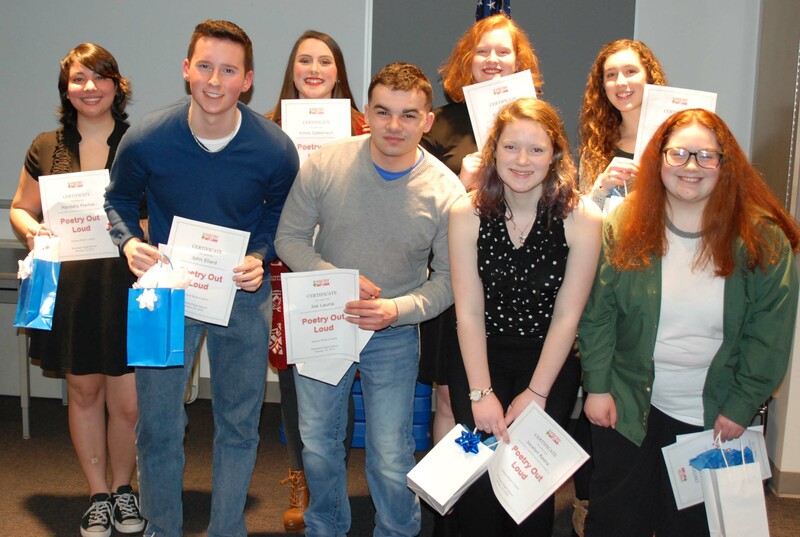 At the beginning of this year, the team and advisors, history teachers Greg Rowe and Randal Grimmett were faced with the task of filling the team with fresh new faces after a majority of the team graduated last year. Thankfully, several underclassmen came to some meetings and decided to commit to the club. On Fri. Jan. 18 the team kicked off the season on defense at the Hingham District Court where they faced Hull. The following week on Fri. Jan. 25, they faced Thayer Academy on prosecution at the Brockton District Court. Finally to close out the season they won as defense against Norwell at the Brockton District Court. At the close of this season, yet again the team will be losing some key seniors including Giovan Soares, and captains: Jasmin Morse, Caitlin Cameron, and Elizabeth Kelley. For more information about the Mock Trial Team’s season see the print edition of the Veritas on Feb. 14. It’s that time of year for RHS students and parents when decisions will be made about the classes they will take for next year. Principal John Harrison has outlined the procedures and the timeline for the process. Students and parents are encouraged to look over all the options and requirements that students have as they go through this process of course selection. January 18th – the 2019-2020 Program of Studies is available on the RHS Guidance website (here). Please note: RHS is not distributing print copies of the Program of Studies this year – it will only be available online. January 23rd – January 29th – Guidance counselors will be in classrooms discussing the P.O.S. and giving students course selection sheets and a P.O.S. Summary sheet (also available online). January 23rd – February 8th – teachers will be discussing Program of Studies course offerings with students and will have individual conversations with students about recommendations. Teachers will enter their academic recommendations directly into X2. February 26 – March 1st – Guidance counselors will be working with students during science classes to choose their electives for next year. If parents and students have any questions about the process, academic recommendations or elective choices, please contact the appropriate Guidance counselor. Poetry Out Loud Is Monday Night! Students are gearing up for the annual Poetry Out Loud competition to be held on Monday, Jan. 28 at 7 p.m. in the RHS lecture hall. This year six students will vie for the honor of representing Rockland in the Regional Competition to be held in March. They are: Jillian Mitchell who will recite, “Self Portrait” and “Then and Now,” Maria Pala who will perform “Lazy” and “Life,” Kathleen Nee whose poems are “Song in a Minor Key,” and “The Ocean,” John Ellard who will perform “Caged Bird,” and “Invitation to Love,” Megan Diver who will recite “Kubla Khan,” and “Megan Married Herself,” and Paige Boggs whose poems are “A Rabbit Is King of the Ghosts,” and “Grief. Ms. Carol Cahill, English Dept. Chairperson, says that this year students have selected interesting and diverse poems that are sure to inspire those in the audience. She encourages all to attend, not only to support the students, but also to be entertained by the poetry that they will hear. As the new year is kicking in gear, the students at RHS are preparing for their midterm exams. To help benefit the students and staff of RHS Principal Dr. John Harrison has implemented some changes. Not so new this year, but made a guarantee is the promise of an exam in every class. Whether it be AP Calculus or gym, to even cooking, there will be an exams in every class with the exception of study blocks. As for more hands-on classes like cooking or woodworking will also be given a midterm, whether it be a typical test or a project based test is up to the teacher’s discretion. The second change Dr. Harrison has established is the elimination of the the makeup period that used to be held on the last day of midterm week. Now to make up exams students must stay after school On Tuesday through Friday or go to Saturday School. Mr. Dan Kimball will be in charge of after school makeup exams that will run from 2:45-4:15 p.m. Furthermore, students must speak to an administrator in order to get permission to miss an exam due to an excused absence. Additionally, students who have a study are allowed to leave school at 12:35 p.m. if their study falls during the afternoon exam portion. If their study falls during the morning session, students are allowed to come to school at 11 p.m. During the week of midterms, the school day will start at 9 a.m. and end at 2:20 p.m., versus the normal start time of 8 a.m. and ending at 2:35 p.m. Midterm grades count as 10% of students’ overall end of the year grades and will be displayed on term two report cards that will be opened on Fri. Jan. 25. Be sure to hit the books because midterms will start next week on Tuesday, Jan. 15 and finish up on Friday, Jan. 18 unless of course there is a snow day. In that case, everything will be moved up a day. The Rockland High School staff and students came together recently to make a “Get Well” video for a familiar face at RHS athletic events, Jimmy Cahill, who underwent surgery this week. Jimmy’s sister, Carol Cahill, an RHS English teacher says that Jimmy loved the video and appreciates all the support that the RHS community has sent to him. She also says that he is doing well and hopes to be home by the end of the week. Video edited by RHS senior Molly Grass. The boys basketball team got to play on the famed court of the Boston Celtics last night. The last game of an all-day festival of basketball games began at about 8:15 pm. The hour of the game did not deter the players, cheerleaders or their fans from an enthusiastic presence at TD Garden. The boys, tipping off against Norwell in a game that did not count in the standings, got off to a great start and led at the half 22-8. Norwell chipped away, however, and managed to gain the lead with a minute left in the fourth quarter. Dante Vasquez hit a big three with only ten seconds on the clock but Norwell held on and came away with a 45-42 win. 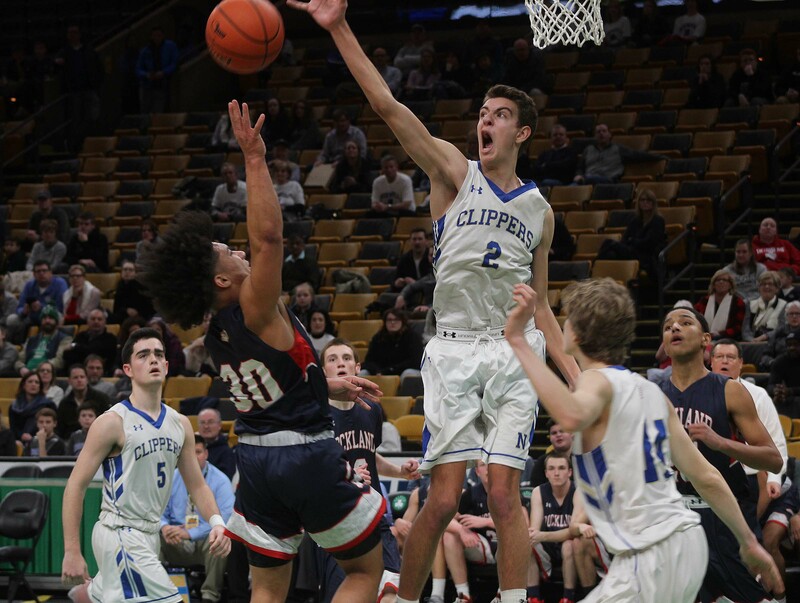 The festival, called the Good Sports Invitational Tournament, began in the morning and included nine boys and girls high school varsity games. Also, during the event a silent auction was held to support the Andrew James Lawson Foundation, which advances inclusion for persons with disabilities. 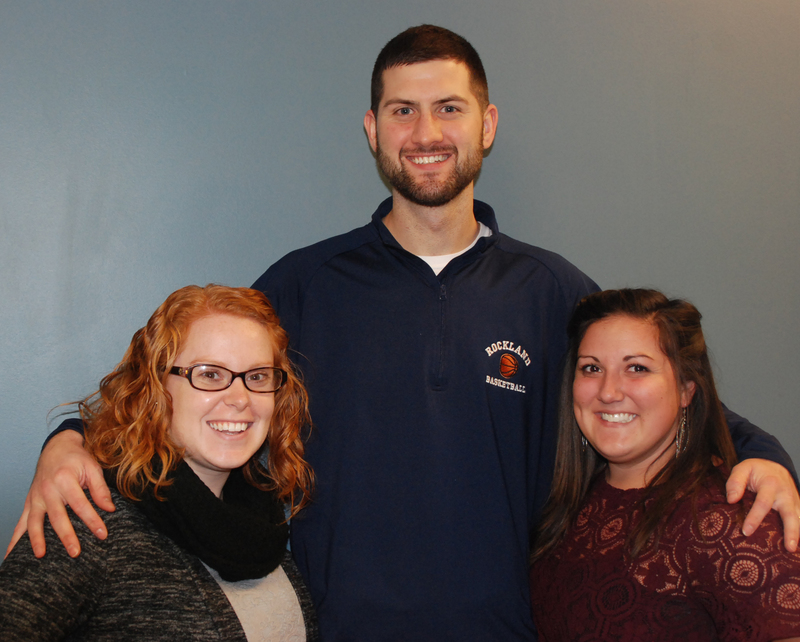 Lawson, a Norwell native, was 27 years old when he passed away due to cancer. Overall, it was an exciting night for both teams in which all the players were able to play on the Celtics’ court. Plus, the Dogs will look to build on this experience going forward to get back to a winning record. See the Patriot Ledger interview below with three of the Dogs’ players after the game for more about the players’ reactions to the game. Check out the following photos from the night of players, cheerleaders, coaches and fans! The Norwell and Rockland players and coaches. Aneuris Quezada takes the tip at the opening of the game. Mikde Ebersole brings the ball upcourt. The bench celebrate another three!! Adrian Quezada takes a foul shot while Jake Benson looks on. Tyrae Worrell takes a jump shot. Josiah Durand brings the ball to the front court at the TD Garden on Sunday, Jan. 6. Ashley caught a Good Sports t-shirt! Hunter Wardwell looks to drive to the hoop. Tyrae Worrell advances the ball. Ms. MacDonald and Holigitis, volleyball coaches. Anthony DeCecco works for an offensive rebound. Dr. Cron brought his family to the game! 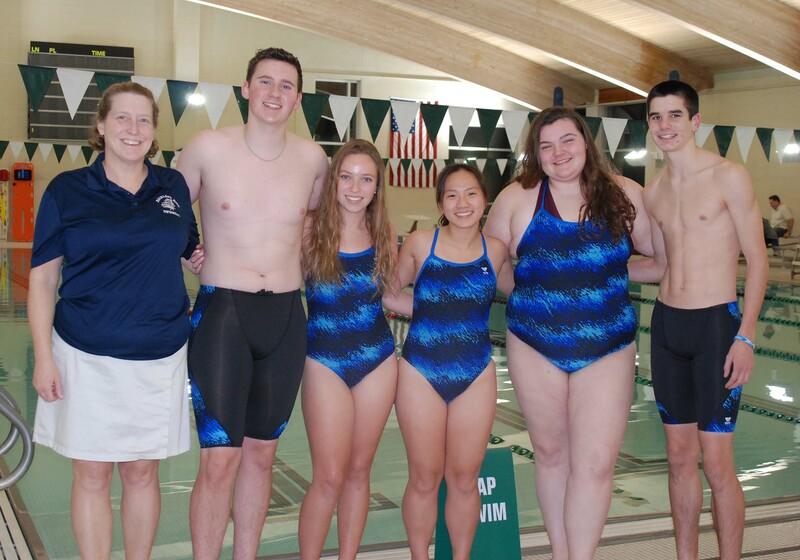 The RHS swim team is having a good season. Members of the swim team tell the Veritas that they aren’t concerned about their record or the losses they take. They are excited about improving their best times and strokes. At the beginning of the new year, Coach Julie Margolis says that she is pleased with the progress the team has made so far this season. “Everyone is getting stronger and all four competitive strokes have been worked on,” she said. Mrs. Margolis speaks about how swimming isn’t just for competition and the winning. She says that it is unique compared to other sports and you can do cool things with it. “Anyone can learn to swim and have fun without the stress of having to be the best all the time,” she said. Ms. Margolis also says that she is so happy that she is able to offer diving this year to the team because of the addition of Mrs. Maureen Hebert, the new dive coach. Coach Margolis said “The divers are doing awesome and most of the girls have learned at least six dives so they are now able to score at a meet.” For those who would like to see this addition to the program, they can go to the following dual meets: at Randolph on Jan 20, at Middleboro on Jan 22 and at Quincy on Jan 29. Coach Margolis makes sure the team can bond with each other to form a family, and she says they are also there for the experiences with friends. A member of the RHS swim team, Olivia Janis, says the reason she joined the team is because she has always enjoyed swimming and it has been part of her life since she was a kid. Janis has goals for herself as well. She said, “I want to try to make sectionals this year.” She says she wants to make a change for RHS because not many people on the swim team have been able to make sectionals, so she is very motivated and determined to make it big this year. Another member of the team, John Ellard says he wanted to be part of the team because he desires to enhance his swimming skills, even more after a swimming club he has finished. He also mentioned how they are all working on perfecting their strokes and building their stamina up constantly. Ellard has set personal goals for himself to eventually win more meets than last year and to hit a .500 mark for his swimming event. He says he is very happy and motivated to “kill it” this year, thanks to his awesome coach, Mrs. Margolis. Both the girls and the boys teams opened up their seasons on Sunday, Dec. 9 with wins against Randolph. The boys team followed that with a win against Pembroke. The team looks forward to their meet tomorrow (Jan.4) with Norwell and with Cohasset on Jan. 11. Both meets are at the Scituate Racquet Club at 7:30 p.m. Check out the team’s upcoming meets to see the competition and pride of this close-knit team!